In the last several years, we’ve witnessed a rise in self-directed medicine. Natural and alternative remedies have risen in popularity as people ignore the advice given by their chosen medical professionals and look for recommendations on the interwebs. Even when it comes to their dental health! But the fact is that no matter what the gurus (or self-taught DIY-ers) online tell you, the only one who can give you the best advice for your smile is someone who has examined it in person! So, when Dr. Jamsheed tells you it’s time to have your wisdom teeth out, it’s time to listen to the details! Infection and Decay from bacteria that gets under the gums. Your gums are supposed to hug your teeth tightly, but if the teeth don’t erupt all the way, the gums allow bacteria to seep underneath them. This leads to gum disease and infected, decayed teeth. Ruining Your Previous Orthodontic Work: Wisdom teeth that come in pushing your molars can actually disrupt your tooth alignment. If you had braces, you risk losing the results and wasting whatever money you’ve invested in treatment. Cysts: Wisdom Teeth may form cysts, which can fill with infection or cause pain. They can destabilize your other teeth or create problems in your jaw. Dr. Jamsheed wants your smile to be as healthy as possible. 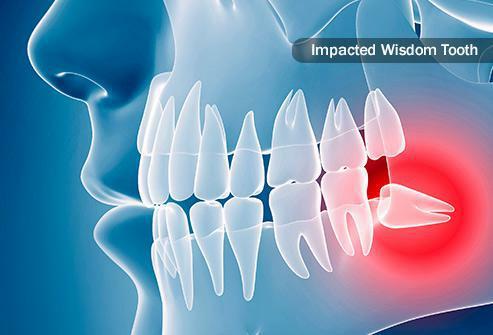 Take the time to schedule and have your wisdom teeth out as directed. Recovery takes about 14 days, but the lasting effects can last a lifetime!